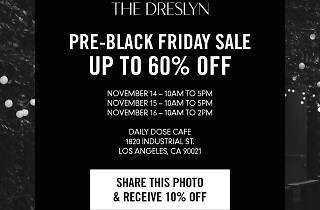 Come this weekend, the once hipster-loved downtown coffee shop will transform into a shopping haven for Deslyn’s first ever pre-Black Friday sale. Avoid the post-Thanksgiving frenzy and stock up on designer pieces early from their latest fall collection, which includes brands like Band of Outsiders, Carven, and Rag & Bone—all for up to 60% off. 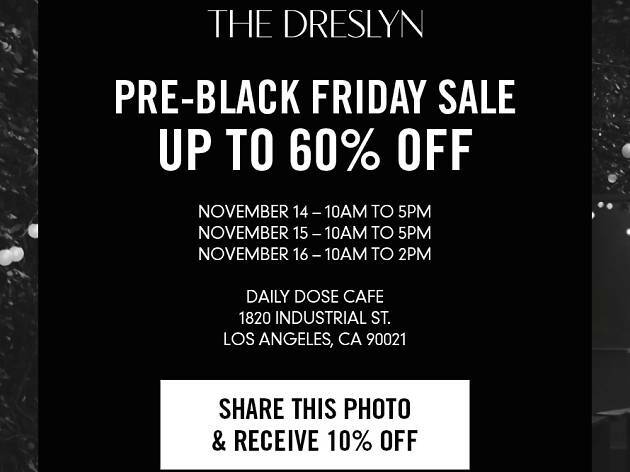 For even bigger savings, post the sample sale flyer (above) on Instagram before November 14 and receive an additional 10% off high-end (and discounted) designer clothing and accessories.